Have you Heard of Histamine Intolerance? As much as I love working with my patients….I also, truly love to spend time learning. It’s not unusual for me to print out 3-4 research articles, hop into bed at night with my highlighter and do some light reading. 🙂 Ha! When I was writing my Complete Idiot’s Guide to Eating Well with IBS back in 2009, I included a few sentences introducing histamine intolerance to my readers. I find this condition very interesting ….and I am convinced it’s more common than it is diagnosed. I personally am on a mission to learn more and as always…share what I learn. Disclaimer: I don’t want every person with IBS that follows my blog to feel the need to remove all histamine from their diet! Nor do I want you to feel overwhelmed by this complicated topic I am about to embark on. I do know that some people that follow my blog may very well have histamine intolerance. For this small subset of folks, the goal is to enlighten you to get the help you need. What is histamine? Histamine is a natural substance, a biogenic (meaning: resulting from the activity of living organisms such as, fermentation) amine that is present in many foods and produced by a small subset of human cells, including mast cells, basophils, platelets, histaminergic neurons and enterochromaffine cells. Wow! That is a mouthful! Histamine is a neurotransmitter (brain chemicals that communicate information throughout our brain and body) produced in an allergic reaction, often associated with causing itching, redness, swelling, cough or rash. Histamine regulates sleep and also aids in digestion by playing a role in stomach acid secretion. What is histamine intolerance? Histamine intolerance results from an accumulation of histamine and the inability of the body to completely degrade it. In healthy people, dietary histamine can be rapidly detoxified by enzymes called amine oxidases, particularly, Diamine Oxidase (DAO) enzyme. Some individuals have low levels of these enzymes; therefore, are at greater risk for histamine toxicity. Gastrointestinal diseases can contribute to a decline in these histamine degrading enzymes. Similar to FODMAPs, histamine can have a cumulative effect on symptoms. Small amounts may be tolerated but multiple sources of histamine in the diet will ‘fill your personal threshold bucket’ and symptoms will ensue. In order to assess if histamine is a problem for you, it is necessary to restrict all of the histamine-associated foods. A food intake and symptom log are essential while undergoing both the elimination and the re-introduction phase of histamine foods. Working with a dietitian knowledgeable in the low histamine diet is key. Food lists for histamine are variable online. It is my understanding that this in part is due to the fact that analysis of histamine in food has not been done for decades. Another area of needed research! The ingestion of histamine-rich food or of alcohol or drugs that release histamine or block DAO may provoke allergic-like symptoms in patients with histamine intolerance. Symptoms can be reduced by a low histamine diet and/or managed by antihistamine medications. Unfortunately, we don’t have a definitive (accurate) test to determine DAO enzyme levels or their functioning capacity or histamine levels, at this time. If you present with 2 or more of the common symptoms of histamine intolerance, improve on a histamine free or low histamine diet and anti-histamine medications, you fit the criteria for having histamine intolerance. A more severe disease state, an occult systemic mastocytosis should be excluded as your diagnosis by measurement of serum tryptase. This is a condition in which a person has abnormally high amounts of mast cells. You don’t need to have mastocytosis to have histamine intolerance. Histamine and Food: High concentrations of histamine are found in products of fermentation such as aged cheeses, sauerkraut, wine, processed meats and canned fish. Vegetables such as spinach, eggplant have histamine too. In addition to histamine containing foods which I have provided only a partial list, there are foods that have the capacity to release histamine. Foods that have been linked with histamine release include: citrus fruit, papaya, strawberries, pineapple, nuts, peanuts, tomatoes, spinach, chocolate, fish, pork, egg whites and additives and spices. Alcohol is not only rich in histamine but also inhibits the DAO enzyme to help degrade histamine. Drugs that release histamine or inhibit diamine oxidase (DAO) can be found in this reference, in TABLE 5 which is also cited below. Some medications included in this list are metoclopramide (reglan) and Cimetidine. Update March 22, 2019, this area of science is still in its infancy. For instance, the medication amitryptaline is on the above list, but other studies (in animals) have shown that amitryptaline may help enhance the degradation or the reduction of histamine. Avoid or reduce eating canned foods. Histamine levels in foods vary, depending on how ripe, matured the foods are–with higher levels the more ripe or aged. As much as it is possible, only buy and eat fresh food. Don’t allow foods to linger outside the refrigerator – especially meat products or eat left-overs. Choose fresh (not aged) meats, fresh white fish or choose those that have been flash frozen. If you are a health care professional or pretty savvy with medical jargon, check out this review article about histamine intolerance. Could alterations in our gut bacteria play a role in histamine intolerance? Dr. Janice Jonega’s site and fact sheet on histamine intolerance. 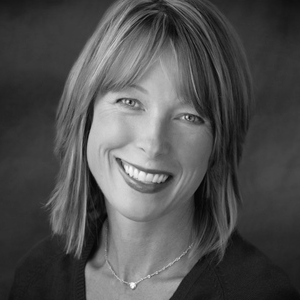 Amy Burkhart’s site (Amy is an MD and RD) with a great article on histamine here. Am J Clin Nutr 2007; 85:1185-96 Histamine and histamine intolerance Excellent review article! And if you lasted this long….Yay! You have a chance to win one of my latest products! 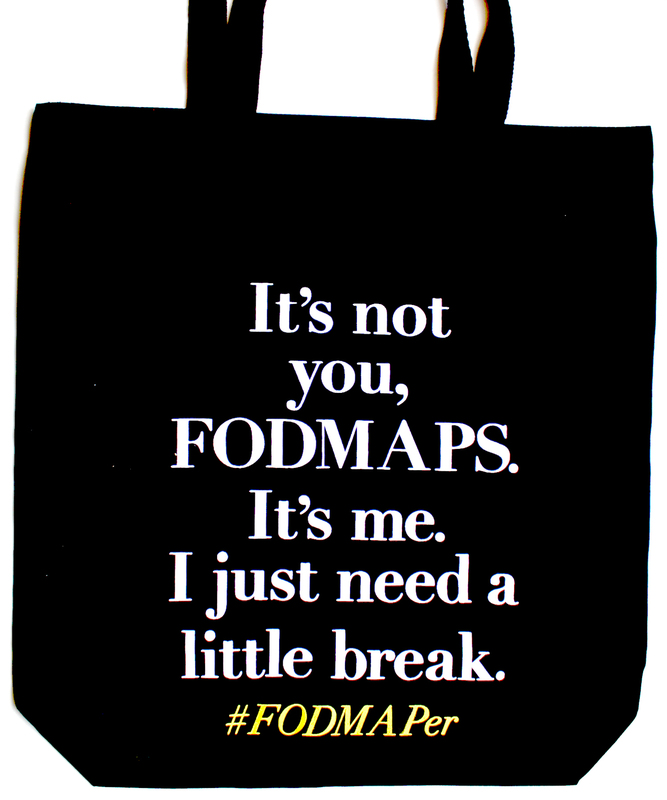 A FODMAPer tote!! Now for sale on my website here! For a chance to win, simply leave the comment: #fodmaper and I will select one random winner soon! I wonder if taking probiotics would aggravate histamine intolerance? Thank you so much for dedicating one of your posts to Histamine Intolerance. I definitely think in our situation histamines is another contributing factors for my dd’s GI symptoms. And yes, we have histamine issues on both sides of the family also. It’s definitely hard navigating between fodmaps and histamines, but the knowledge allows a person to make choices to help themselves and/or their loved ones and is definitely worth GOLD!! PS. I’ve been following the Low Histamine Chef site for about a year also. Love her info. Thanks again Kate for getting the word out. PSS. Has Monash or anyone else looked into malted flours and extracts. Malted anything is fermented. I’ve got my eye on this ingredient. Definitely a bloating factor for my dd. Almost all commercial white wheat flours and breads have it added to them. Just adds fuel to the fire when it’s the second ingredient in almost every commercial bread and almost every single flour on the market. Only flour I’ve been able to find so far is Hodgson’s Mills unbleached white flour without malted barley flour added to it. It’s unbleached, unbromated and unenriched. No malted anything added. Keep researching!!! We love your posts. Thanks SO much for this in-depth post! Appreciate the food for thought (pun intended!). You mentioned histamine intolerance in a blog post right before Christmas. I was intrigued and went on a scavenger hunt for similar late-night reading. 🙂 I’m a writer, life-long learner, #fodmaper and perhaps histamine intolerant as well? I have 12 of the 13 symptoms listed. I’m attempting to transition to a combined low-fodmap and low-histamine diet, and it’s rough. I would love to hear your thoughts on foods that work for both diets and snacks that won’t lead to a blood sugar crash after 1 or 2 hours. Getting enough protein is hard (milk & eggs are no-goes for me due to allergies). Most nuts bother me, as does quinoa. Thanks for your work, Kate! Seriously, you have changed my life. The low-fodmap diet did indeed clear some of the weeds for me, and I’m hopeful that a low-histamine could be the final piece of the puzzle in a decades-long health struggle. Can you do fresh chicken and/or fresh white fish or flash frozen white fish for protein? When I do a combo low histamine and low FODMAP diet–I often just pull out the very high histamine foods –this is often enough. Get help from a knowledgeable dietitian. Is there a correlation between asthma and Histamine Intolerance? If histamines do not end up being the culprit for asthma, you could look into food allergy/intolerance or salicylate sensitivity as other potential contributing factors. Yay! me too Kim!! I am working on that!! Thank you so much for all of your information. I am almost 2 years in for being a low FODMAPer, and it has changed my belly! I still feel like the whole puzzle may not be figured out, though, so the idea of low histamines is really interesting to me. I recently have been having strange swollen, really uncomfortable lips since August, so who knows?! Interesting about the different kinds of microbes. It must be so difficult working with people with IBS because everyone’s issues are different. Thanks for replying and for giving this problem so much necessary attention. Alyssa, could it be that you increased your intake of nuts like walnut, macadamia, pecans, etc.? That happened to me when I replaced some other foods with nuts. OK with almonds and peanuts but the others cause the symptom you described as well as mouth sores and little painful bumps around my face but mostly around the mouth. Almost a decade ago I was diagnosed as having Carcinoid Syndrome based on symptoms and a couple of labs that indicated it, then later did not. Since we couldn’t find the cause, we chalked it up to me being younger than the usual discovery age and I’ve been monitored for it ever since. They also floated mastocytosis as a possible cause, especially of the flushing, but since ruling that out required a bone marrow biopsy, we decided to wait and see on that one! In researched triggers, etc. for the various parts of the syndrome and after a particularly scary bout of arrhythmia with no other apparent cause (per the cardiologist), I attempted to alleviate the symptoms by avoiding tyramine-rich foods for many years, many of which coincide with the histamine-rich foods above (aged/fermented anything, tomatoes, etc.) and, around the time things started getting better, I also went on a daily antihistamine to try to rein in some constant sinus issues. Finding out about FODMAPs 2 years ago alleviated a lot of the GI symptoms, of course, so now I’m wondering if it’s the Histamine to blame and not some hidden little neuroendocrine tumor! Not that I’m looking to restrict my diet further, but it’s definitely something I’ll bring up to my endocrinologist (appointment next week, and he’d already ordered Histamine labs… coincidence or synchronicity at work?). Thanks for the food for thought! Another piece of the puzzle! So interesting. Thanks for the information. I ended up in hospital due to Angioderma of the face and neck and no cause could be found. Hmmm…. that is really interesting. I have several of those symptoms and now feel really overwhelmed as to what I should/should not be eating. I wish there were more GI doctors where I live that are versed in IBS, FODMAPs and this subject. Melissa, please don’t feel overwhelmed! Perhaps,try low FODMAP first and see how you make out. Reintroduce FODMAPs in the re-challenge phase. Then maybe, if you don’t feel well enough–consider histamine as part of your picture. Interesting, thanks you for posting! Judy–often with fructose malabsorption the low FODMAP diet is the best approach. Oh, Kate 🙁 Say it ain’t so! Spinach? One of the few FODMAP veggie friends? And eggplant? Ditto on needing more fructose info. Blueberries and strawberries should be OK but still seem to be an issue. Do we know which gas – methane or hydrogen – fructose causes? No need to modify spinach and eggplant if you don’t suspect histamine is a major issue for you!! Okay…will work on a good detailed fructose post! No we don’t believe we know what gas fructose causes–depends on what microbes we have. Some people don’t have methane producing microbes and some people don’t have hydrogen producing. I have had a huge histamine problem for years. My anger at all of the MD’s who refused to diagnosis and treat my illness. The hives became dangerous and no treatment nor acknowledgment of any problems on foods, environment nor toxins. Having taken the MRT blood test and eliminating my food and chemical sensitivities has only unmask my histamine problem. I fear now with all of the high histamine foods, my sensitivies that my total nutrient intake is is in trouble. Have you posted any tie in with histamine intolerance that includes a tyramine intolerance also? Which adds more deprivation and less nutrient dense food choices. Cooking fresh each meal for each family member is a huge burden at times. No left-overs, no cooking ahead, no ferments, no gut healing foods. If you have further research I would appreciate it so much. Each puzzle piece leads to more restrictions. Healing is what I need. What’s left for me to eat?!?!?!? It is rather concerning that many of the foods that need to be eliminated are okay on the low Fodmap diet. As Cara above said, “What is there left to eat?” Quite a conundrum! Hi Suzanne, I think it is very important to NOT to attempt to do multiple elimination diets at once! This would place anyone at nutritional risk and further impact the functioning of the GI tract. Working together with a dietitian is essential when you can not quite find symptom relief from the low FODMAP diet alone. The low FODMAP diet is estimated to help 3 out of 4 people with IBS. For the 25% that do not benefit–I think it’s important to look for other potential issues. If “plan A” is not working to your satisfaction, keeping looking for alternative plans. I have a friend with suspected histamine intolerance….can’t wait to forward this blog post to her. As I’ve told my family and friends, Kate, your blog and Web site are the only information I trust! I do plan to download the Monash U app to an iPad but haven’t gotten around to it yet. I’ve almost finished two weeks on the low FODMAP diet. It’s been a bit tricky, but any “cheating” has been an accident/oversight and has been minimal. I’m committed to following the elimination diet as closely as possible. With IBS-C, I don’t anticipate improvement for a few more weeks at minimum. I think I’ll see this through 6 weeks and then consider histamine intolerance because I know I have allergies and I do have most of the symptoms listed (but I realize that those are symptoms of many other conditions, too). Thanks for all of the helpful info! Several of my children and I have autoimmune diseases and several GI issues. We are all on a daily antihistimine pill… Ugh, with gluten, soy, lactose intollerances and the foods said to avoid with our health issues, I am wondering what Can we eat? All the foods said to heal our gut tract killllllll my IBS! I am on a Whole30 challenge right now and I swear it sounds like whales are singing in my abdomen. Sigh*. I’m so glad you enjoy reading research papers, better you than me 🙂 I read all of your posts and always find them so informative and helpful. I tell every Fodmaper about your blog because I think it’s an essential resource for all of us living this lifestyle. Thanks so much for writing about this topic as I think it’s a really important one that isn’t well understood yet! Some light bulbs definitely went off for me reading this in thinking about my own health issues. well I’m sensitive to histamine and I always had this weird headache. Sometimes I hate it to go out because I didn’t know for sure whats in the meal. I recognized that I couldn’t eat tomatos and certain kind of cheese too. Two month ago I found this dietary supplement called Daosin. It’s checking you histamine level within your body and stopps the allergic reaction if your histamine level rises. For me that means no more headache. Pretty happy with it, maybe some guys of you can use it as well. So where does one buy or try Dosin? And is it pork based, does it contain corn? With so many food and chemical sensitivities I need to know what is in this product? Thanks and so happy you have found a solution. Wow and wow and wow! I just found Janice Joneja, and was amazed at the intricate workings of histamines, tyramine, and benzoic acid. Your post always brings….knowledge, thoughtfulness and hope! Now no canned foods, another hurtle! Yes, Janice Joneja is a great resource. Has anyone tried Daosin? And if so where do you buy it, and does it contain pork or corn? Hi Kate – Thank you so much for sharing this. I love to learn too though I shan’t pretend to have understood it all (yet). You have got me wondering though. I normally suffer badly with hay-fever from June onwards, but last year was the first year I haven’t had a problem with it and also my first year on a low FODMAP diet. I wondered if this was just coincidence, but would love to know what you think?